Hi ya'll I'm Darren I've been in the automotive industry since 2011 and counting! I'm a proud husband to my wife of eight years and we have been blessed with two beautiful daughters. My family and I are relatively new to the Kentuckiana area! However Bullitt County has quickly became our home. We love it here! But enough about me... Think Smart and Buy Local come and see the team and I at Craig and Landreth Cars in Shepherdsville! We will work our hardest to ensure your buying experience is as rewarding as it is fun! I've had the pleasure of serving our local communities in the car business since 2002. I'm a husband of 32 years, with two beautiful daughters. One granddaughter and two more grandchildren on the way. My family and I have called Bullitt County home since 1987. Think Smart and Buy Local! Come and see me at our Shepherdsville location. I look forward to the opportunity to truly earn your business! Hello Shepherdsville! My name is Rhett Tarpley I'm a dedicated father and spouse to a beautiful women and Son! I am so excited to be a part of the Craig and Landreth sales team! I am very appreciative of the families that I've been able to help! I look forward to many many more friendship and encounters! Always remember, Think smart and Buy local! 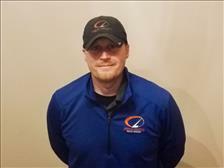 Ronnie Vincent - "The Cleaner"
Been with Craig and Landreth cars since it"s opening in Shepherdsville in 2011. A resident of bullitt county with wife and son who also attends bullitt county local schools. Love the company I work for and and what they do for the community. Hello Kentuckiana! 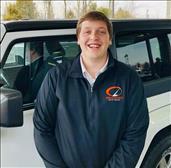 My name is Tyler, and I'm proud to be your automotive professional insider. A native of Wisconsin, I'm a diehard "CHEESEHEAD"! I proudly served in the US Navy during Operation Enduring Freedom as a young man. I look forward to working with other veteran families. I'm happily married and enjoy spending my time seeing the world with my family. My hobbies include skiing and scuba diving as well as hiking and biking locally. I've graduated from business programs at Fitchburg State University and sincerely look foward to making the car-buying process transparent and fun for all those in need! 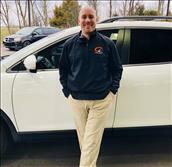 Hello and Welcome to our Online Showroom for Craig & Landreth Cars location in Shepherdsville, , KY. We invite you to "Click" thru our current inventory and to contact us with any questions or to schedule a Test Drive. Craig & Landreth Cars is Family Owned and Operated with Six Locations in Louisville KY to serve your Automotive Needs. We are a Full Service Dealership that is proud of our A+ BBB Rating. We have been in business for over 36 years in the Louisville area and have expanded our business to the Bullitt County area to better serve our customer base. With an inventory of over 500 quality pre-owned vehicles we can help you select the right vehicle for your needs and budget. Thank you for visiting our website and we look forward to meeting with you in person and earning your business.